Lorenzo Ciferri, VP of Marketing and Communications at Trelleborg Wheel Systems (http://www.trelleborg.com/en/your–industry/agriculture) , says: “The new TLC Plus functionalities are built on the existing and well-known Trelleborg Load Calculator App (TLC), which celebrates seven successful years after its pioneering launch in 2011 as the industry’s first load & pressure calculator. The TLC App is available in 14 languages, works with over 5,000 potential machine configurations and constantly registers thousands of downloads, upgrades and premium reviews across five continents. 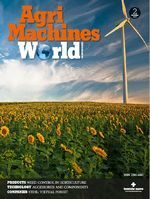 “The App’s reputation as the leading load & pressure calculator has been solidified in the farming industry due to its extensive range of applications, machine configurations, along with its accuracy and ease of calculation. We see the usage of the App growing enormously among professional farmers across the globe and today it enjoys one of the largest follower bases of professional farmers, worldwide. This is why we decided to upgrade the App to this new generation of sensor-based tool: TLC Plus (Trelleborg Load Calculator Plus).” Adopting the right pressure can reduce farming variable costs by over 20%. Indeed, the right tire pressure reduces fuel consumption, while increasing traction power and crop yields, protecting and enhancing the modern farming business. “Our marketing research suggests that, gradually, professional farmers are becoming more and more aware of the importance of the selection of the right pressure for their machines. This will boost the adoption of TPMS pressure systems along with CTIS and Smart Tires solutions in the near future of professional farming,” continues Ciferri. The new TLC Plus was conceived and engineered by Trelleborg to meet the challenges of modern and future farming. While the standard functionalities of the TLC permit the precise calculation of the appropriate pressure for any application, the new TLC plus premium functionalities check whether the machine fleet is actually set with the optimum tire pressure and recommend adjustments where and when needed. 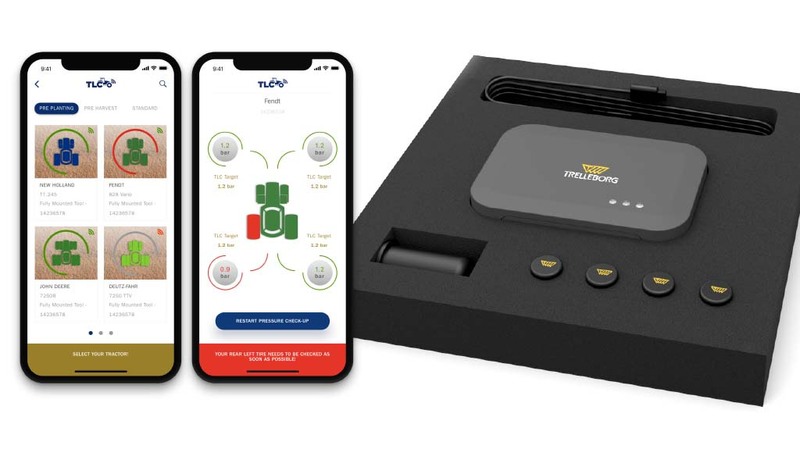 This is possible through a TLC Plus KIT, which integrates the App with TMPS sensors (which are mounted on the tire valves), and a gateway that enables data transmission to mobile devices. In addition, thanks to cloud technology, the tools permit the management of tractor fleets remotely, allowing farmers to assess whether the machines are working with the appropriate pressure from their office. This configuration ensures maximum safety and efficiency for operations on mega-farms and for contractors, who operate with large fleets of machines. “Smart, easy to work with, and accurate; this is the way we designed the new TLC Plus App functionalities. With this target in mind, we invited users to contribute to the tool design, running several workshops open to a selected pool of professional farmers. The result is a friendly and reliable App, which can significantly improve farming efficiency and productivity, while using status-of-the-art technology when it comes to TPMS solutions,” concludes Ciferri. The new functionalities as well as the TLC Plus Kit will be available worldwide from January 2019.